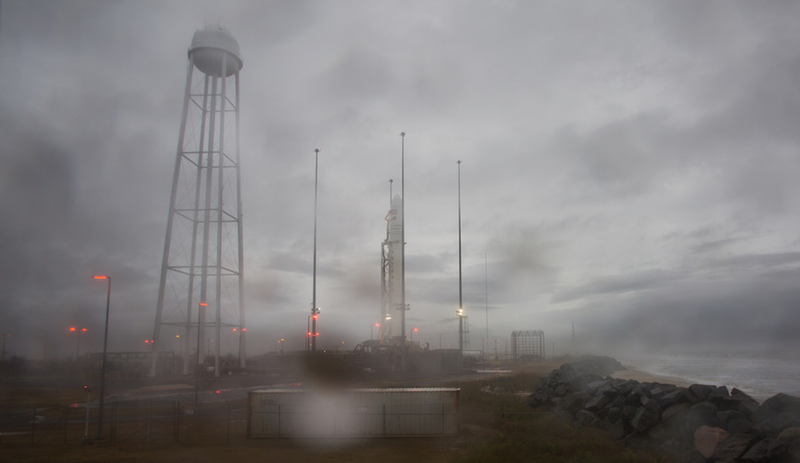 But rainy weather and clouds at the launch base on Virginia’s Eastern Shore could prevent a launch Thursday, with forecasters predicting a 70 percent probability of conditions violating the Antares rocket’s launch criteria. 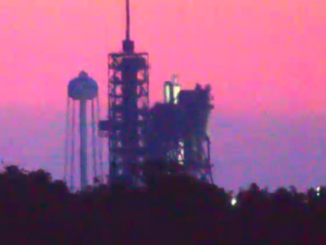 Liftoff of the two-stage Antares rocket is set for 4:49:38 a.m. EST (0949:38 GMT) from pad 0A at the Mid-Atlantic Regional Spaceport, located at NASA’s Wallops Flight Facility. 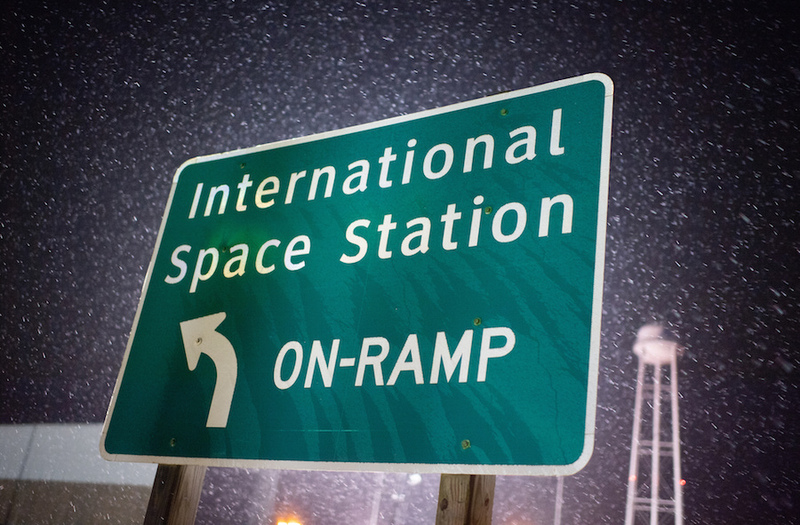 Weather conditions are not forecast to improve much for a backup launch opportunity available Friday, when meteorologists at Wallops predict a 65 percent chance of weather prohibiting liftoff, again due to clouds and an increasing chance of gusty winds. “An area of low pressure will quickly develop Wednesday over the Deep South, bringing rain showers to the Southeastern United States during the day,” the Wallops weather team wrote in a forecast issued Tuesday morning. “These showers will progress to the northeast on Wednesday night into early Thursday, likely arriving by our launch window on Thursday morning. This approaching front will bring thick clouds and a chance of rain by T-0. 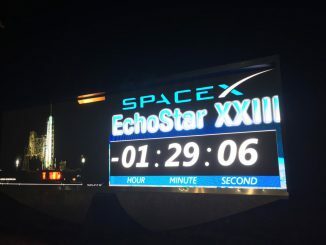 Conditions for a launch attempt Saturday could be much improved, with only a 5 percent chance of weather violating a launch weather rule. 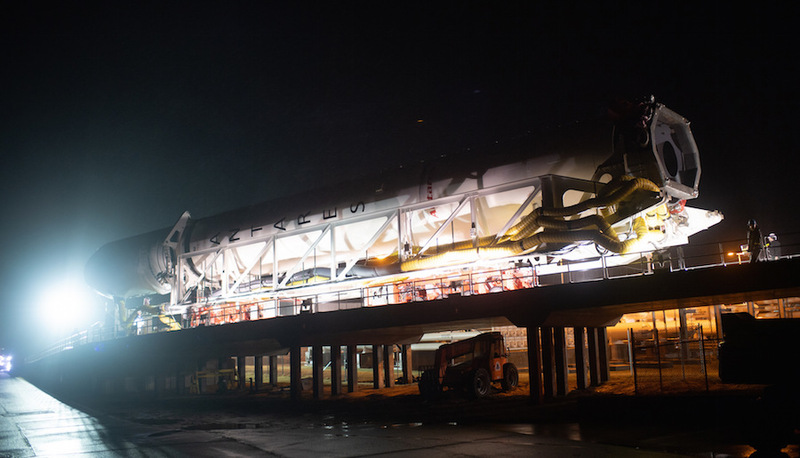 The Antares rocket emerged Monday night from the Horizontal Integration Facility on Wallops Island, and rode a multi-wheeled transporter along a rode leading south to launch pad 0A. 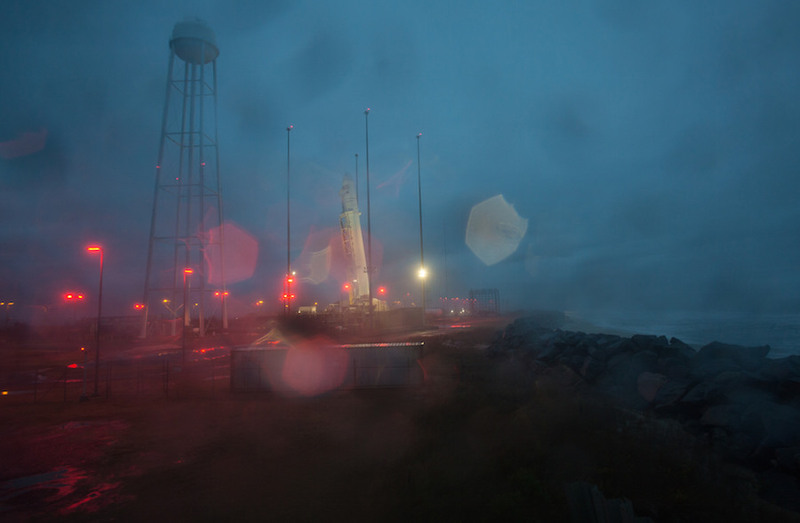 The one-mile trip occurred in steady rainfall, and ground crews guided the rocket up the ramp to the launch mount at pad 0A, where the Antares launcher was raised vertical around daybreak Tuesday. 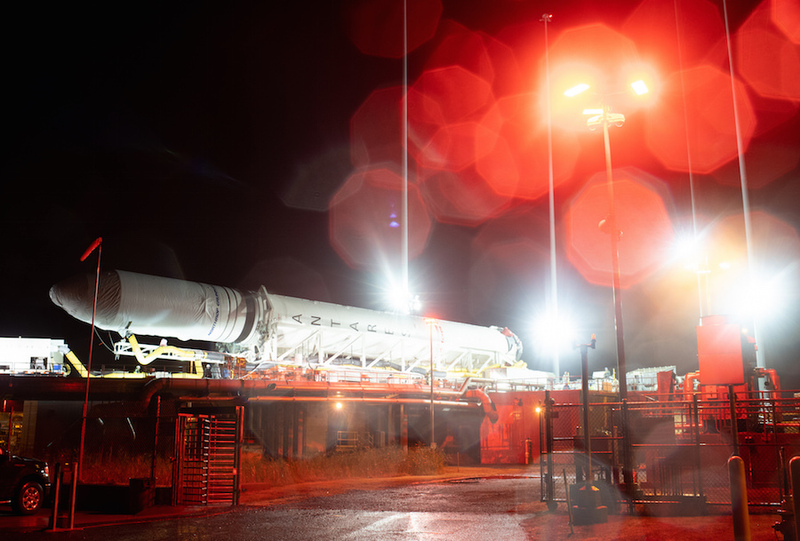 Final connections between the Antares rocket’s transporter-erector and the launch pad’s power, data and propellant supplies were planned later Tuesday, followed by closeouts and testing in advance of the countdown set to begin late Wednesday night. 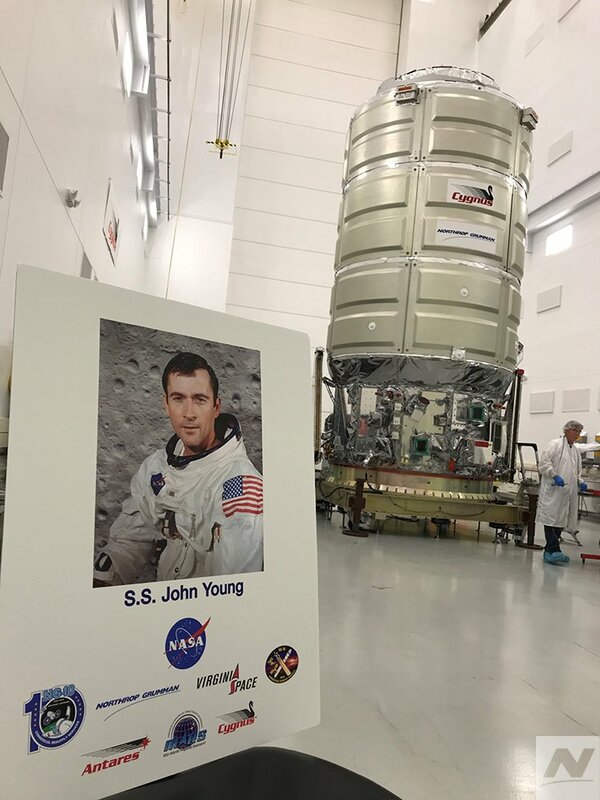 The rocket will launch with Northrop Grumman’s Cygnus supply ship, christened the S.S. John Young in honor of the Apollo moonwalker and space shuttle commander who died in January. 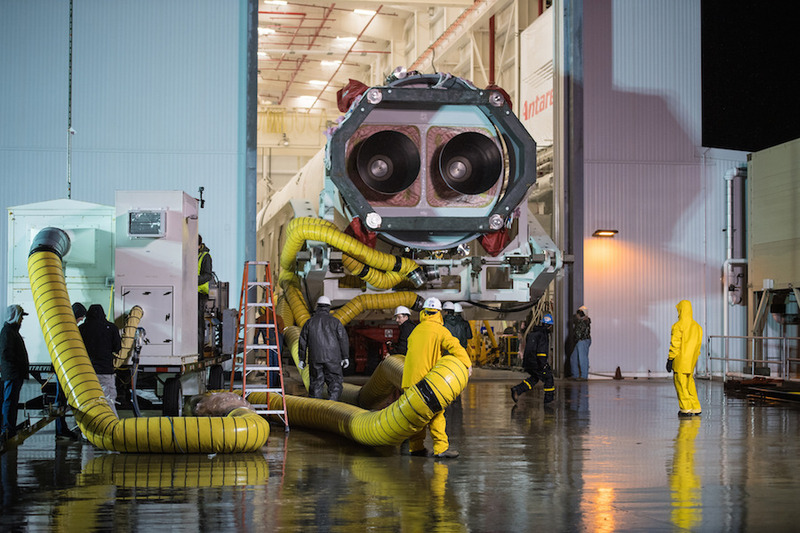 Technicians finished loading equipment into the Cygnus spaceship’s pressurized compartment the past few days, then installed the Antares rocket’s nose cone over the spacecraft before Monday night’s rollout. 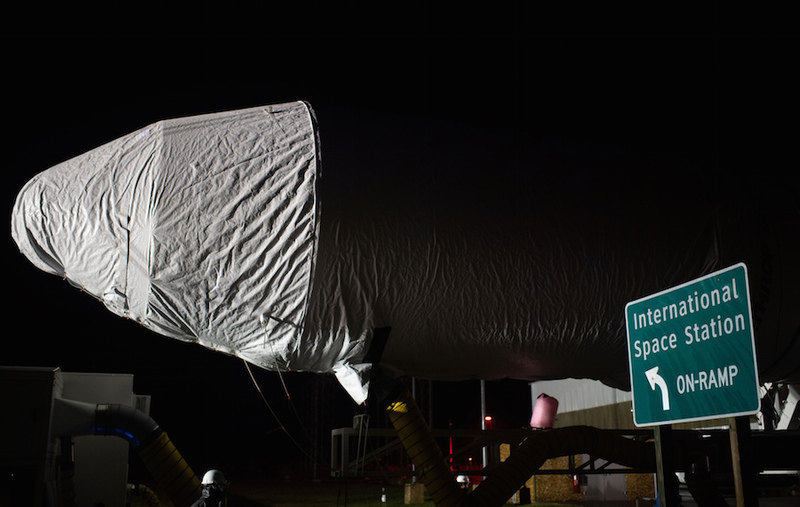 The Cygnus spacecraft will carry about 7,500 pounds (3,400 kilograms) of supplies, experiments and hardware to the space station. 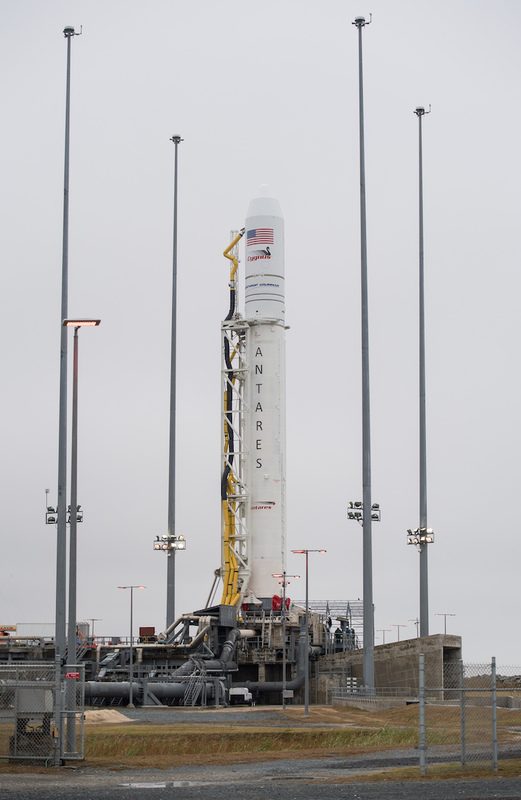 The Antares rocket, powered by twin kerosene-fueled Russian-built RD-181 engines on the first stage and a solid-fueled U.S.-made upper stage, will deliver the cargo carrier to a preliminary orbit around nine minutes after liftoff. 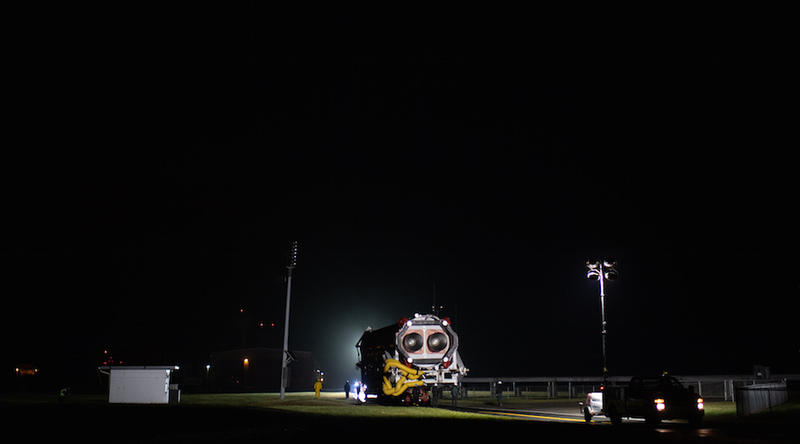 Assuming the cargo ship takes off Thursday or Friday, it will arrive at the orbiting research complex Sunday around 4:35 a.m. EST (0935 GMT), when astronauts will grapple the free-flying spacecraft with the station’s robotic arm. 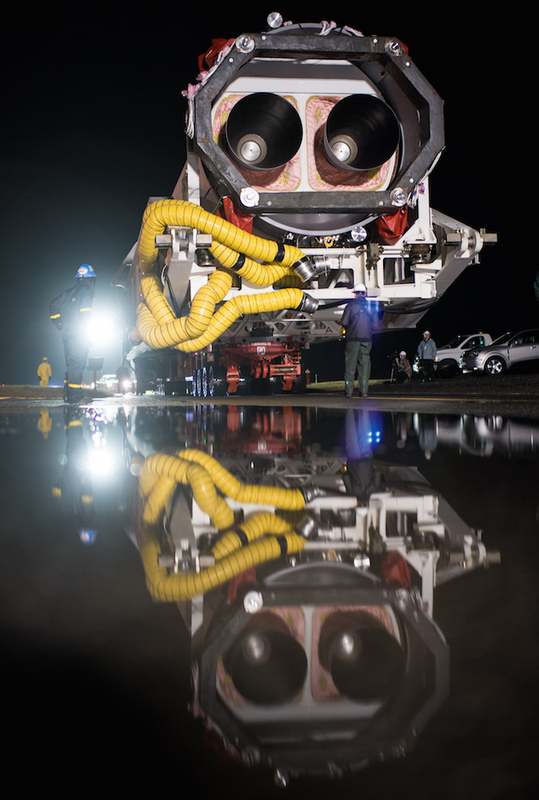 In addition to supplies of food and crew provisions, payloads stowed aboard the Cygnus spacecraft include a combination 3D printer and recycler built by Tethers Unlimited, a private company headquartered near Seattle. 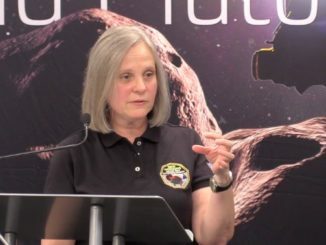 The device is designed to “turn waste plastic materials into high-quality 3D-printer filament to create tools and materials, a key capability for future long-duration space missions beyond low-Earth orbit,” according to a NASA summary of the mission. 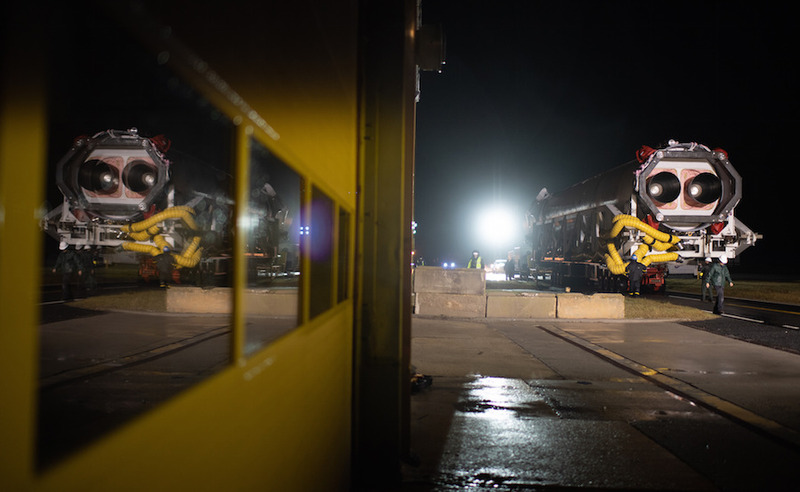 Other experiments aboard the cargo ship include an investigation into cement solidification in microgravity, and a study of how an astronaut’s perception of motion, body position and distance to objects changes in space. 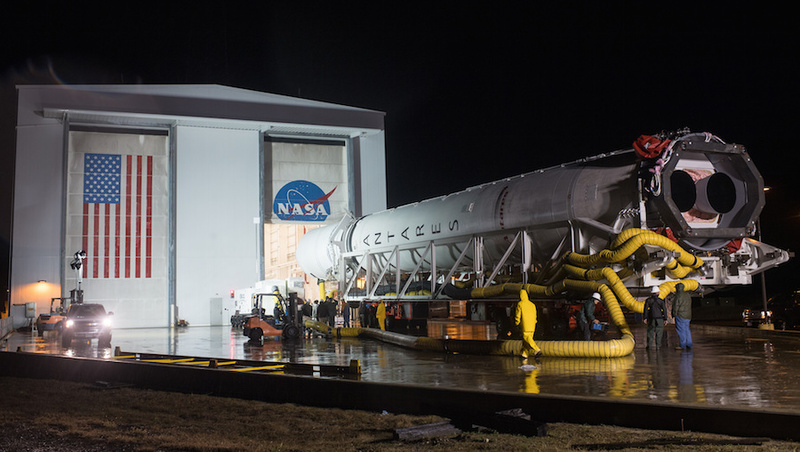 The upcoming mission will be the 11th launch of a Cygnus spacecraft carrying cargo to the International Space Station, including a test flight in 2013 and a failed Antares launch in 2014 that destroyed the supply ship seconds after liftoff. 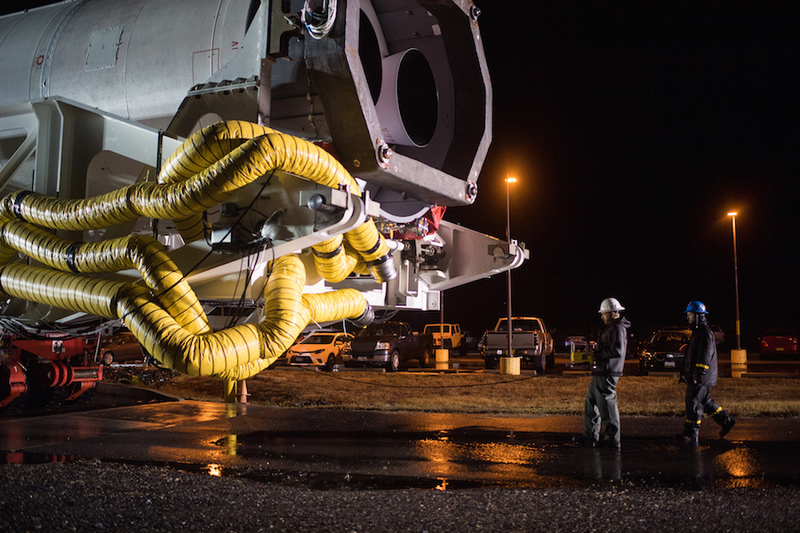 NASA has a similar cargo transportation contract with SpaceX, and the space agency has awarded Sierra Nevada Corp. a resupply services deal for logistics deliveries and returns using the Dream Chaser spaceplane beginning in late 2020. 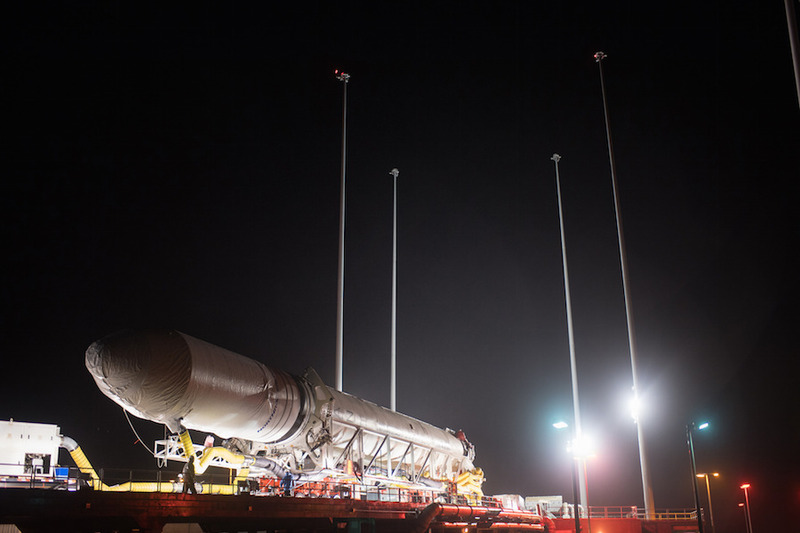 The Cygnus spacecraft launching Thursday will remain berthed at the space station until February, when it will depart and release several CubeSats from a NanoRacks deployer before re-entering Earth’s atmosphere and burning up with several tons of trash packed by the station crew. 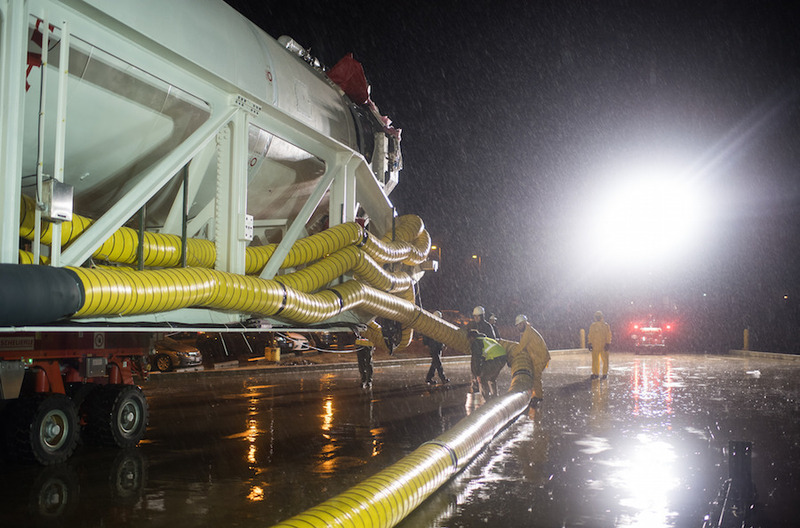 More photos of the Antares rocket’s rainy rollout are posted below.